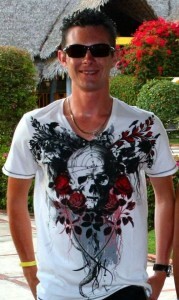 I graduated back in 2012 with a Bsc Marine biology and from then on pursued the path of become a PADI Instructor. 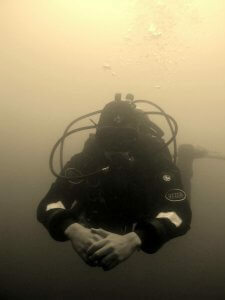 After qualifying later that year he worked for a local dive centre for 4 years and was in charge of the servicing and the training departments. In 2016 I went on a volunteer program (LovetheOceans) in Mozambique, where I was involved with active research and local education regarding the negative impacts of shark fishing. 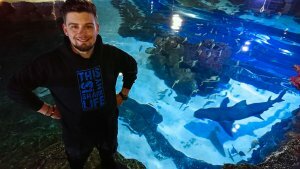 Upon returning to the UK I started working at Blue Planet Aquarium as an Aquarium diver and over the past 2 years I have progressed up the ranks to Dive Officer. I first started diving when I was on a family holiday in Malta when I was 14, I had wanted to get into diving for a while before this and was egger to take up the sport when the opportunity arose. I very quickly fell in love with diving, getting to see all the fish being weightless in the water it was right up my street. 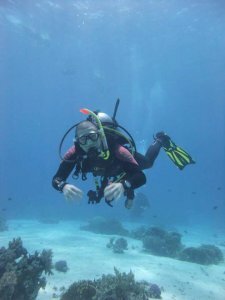 After completing my open water course, I knew it was something I wanted to keep up and it sparked an interest in everything in the aquatic world. Once I was old enough I took I went to university in Aberystwyth to study Marine and Freshwater Biology. 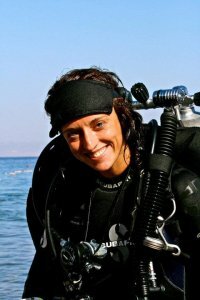 Once I graduated from university I had to make a choice as all students have to “What do I want to do now I have finished?” I couldn’t look past working in the diving industry so I contacted my local diving schools and started my professional diving qualifications. 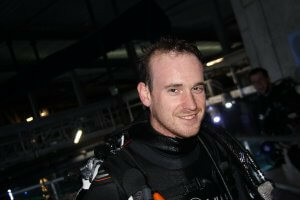 I quickly rose to become a PADI staff instructor and got a job as a diver at Blue Planet Aquarium. It was like a dream come true getting to dive with these amazing animals all day everyday and I was even able to do some teaching on the side, which allowed me to share my passion with others. Favourite Blue Planet Animal: Flare just because he is! Favourite Animal: Sand Tiger Sharks, specifically “Wilma” – the hot mamma of Blue Planet Aquarium! Favourite Quote: Fish are friends, not food. Favourite Dive Site: Red Sea (all of it). Favourite Dive Site: Blue Shark Dive, Simons Town, South Africa. I’ve been fascinated with the oceans since I was a child and Sharks have been an obsession of mine. I remember the first time I saw a Shark and couldn’t believe how incredibly beautiful and amazing it was. I dive so that I can get closer to sharks and also help people get closer to them. Favourite Dive Site: Sodwana Bay in South Africa for the incredible diversity of animals such as Frogfish, Hammerhead Sharks, Manta Rays and Tiger Sharks. 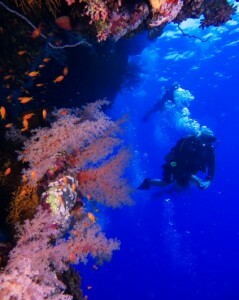 Also love the colours and beauty of diving in Sipadan Islands in Malaysian Borneo. Before I started diving I had a crippling fear of Sharks until I saw them in the water and realized how graceful and nonthreatening they are to divers. Now I love all the sharks at Blue Planet Aquarium but Stripes our female Zebra Shark is my fave as she follows us around the tank for affection and food.